April, May, June and July are four busy months in the ‘farming’ calendar! After the ups and downs of calving and lambing, things settled down and we were able to concentrate on the refreshed vegetable garden. Barrow-loads of home-made compost were added to the freshly turned soil and well dug in; we planted potatoes in the new raised beds (see the last entry) and started harvesting asparagus from the poly tunnel. Early salad was welcome, with the rocket going mad in the poly tunnel, and lambs lettuce cropping up all over the garden. 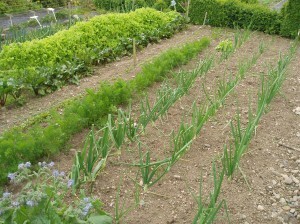 Come June, the broad beans and new potatoes were ready, followed by mange tout and cabbage. The carrots have done well – hardly any root fly in evidence – along with beetroots and swedes. They’ve certainly filled our plates! The solution to the devastating rabbit problems was to erect an electric fence around the whole vegetable garden. So far, it’s worked a treat…! winter and the dry start to the growing season has really sorted out the pests so with the improved fertility of the soil, we’ve had a fantastically productive season. The big event in June was taking a young bullock for slaughter. As we are part of the Anglesey Grazing Animals Partnership, we look for opportunities to work with other members whose animals graze wildlife rich land. 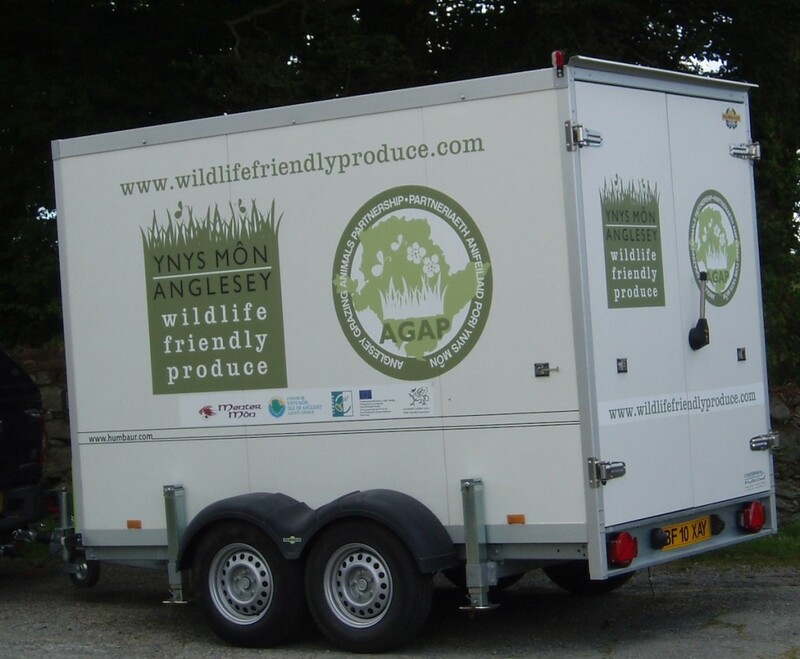 We had hoped to use the Group’s newly acquired meat trailer for hanging the two welsh blacks and the cutting facilities at the local food technology centre but dates did not quite work. In the end, we opted for a family run slaughter house and butcher in Denbigh. We used the AGAP trailer to bring home the meat; all carefully packed. We have not had home produced beef for a couple of years so are enjoying the succulence and flavour of grass fed meat, especially the steaks! The next challenge was to slim down our cows and get them into calf. 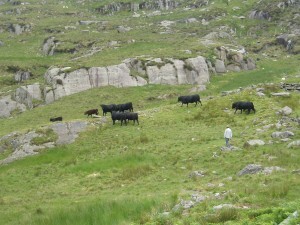 The solution came in the shape of an offer from a friend in the Nant Ffrancon valley; the cows could go up to the ‘hafod’ for the summer. ‘Hafod’ means the higher hill pastures, with haf being Welsh for summer. 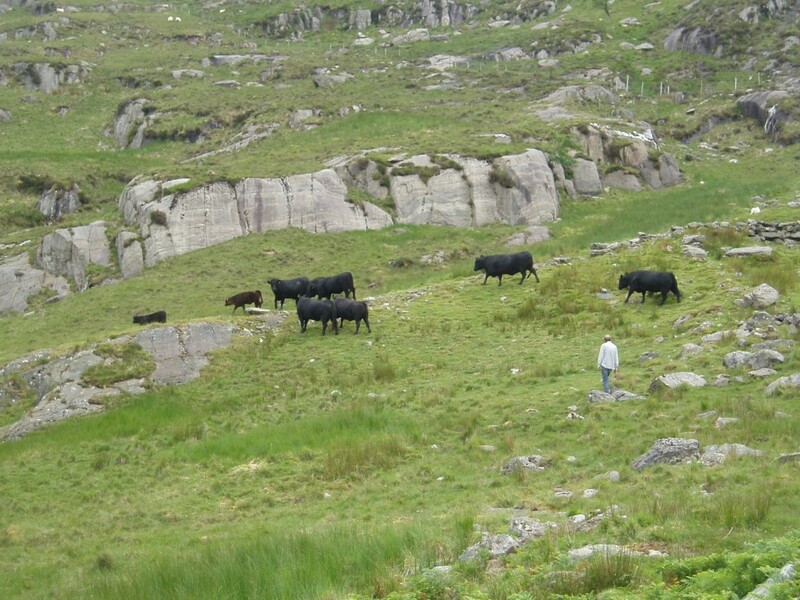 The cows will slim down as they will have to work harder to find food and will also ‘do time’ grazing conservation land. They seem happy enough up in the hills and love lying on the road, holding up the tourists! So the last tasks of the early summer were to prepare for the annual Soil Association inspection and shear the sheep! No time to relax!